Gibt es eine multikulturelle Leitkultur als Verfassungspatriotismus? In the debate that is taking place in political theory constitutional patriotism, “Leitkultur”, and multiculturalism do not appear as competitive concepts, but draw attention on different important aspects, which should be taken into account concerning today’s challenges. 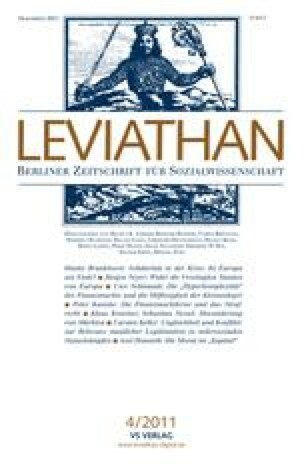 If constitutional patriotism means a specific citizen’s attitude that embraces not only abidance by the law but moreover loyalty to the founding constitutional principles and the willingness to share a common language with the fellow citizens, it is plausible to refer to constitutional patriotism as “Leitkultur”. If a leading culture does not draw its focus from an assumptive status quo generated by the majority society but gain its focus from human rights enshrined in the constitution, this culture offers a convincing normative account for a multicultural society. As the analysis of German naturalization and integration policies shows, some of the theoretical thoughts are already part of the law, especially with regard to the requirements of both: the admitting society and the immigrants.